NRC provides valuable input into sustaining commercial, recreational and artisanal fisheries worldwide that face a variety of challenges. Our work addresses critical problems such as global bycatch and discards in fisheries, sustainability of large scale industrial fisheries, ecosystem based management, and a great variety of more specific problems facing fisheries managers and users. Our principals draw from unique hands on experience and science based knowledge in these fisheries. NRC has developed and maintains comprehensive databases and contacts with fishing industry personnel as well as other fisheries scientists and managers allowing for NRC’s accurate and broadly informed insight into fisheries management issues in Alaska, the Pacific Northwest, and global fisheries. NRC has a frequent presence at fishery management meetings including U.S. councils and foreign meetings to advise on science based policy choices. NRC has a broad base of scientific and fact-based information regarding all aspects of fisheries business operations and economics. This allows NRC to be uniquely qualified and involved in numerous projects assessing economic impacts in the fishing industry. Our access to in-house maintained databases and industry wide fishing information from the fishing community provides a sound basis for independent and accurate consulting. NRC’s contact with commercial, recreational, and government fisheries personnel strengthens our expertise regarding economic assessment and impacts in fisheries. Key projects and current work include assessing impacts of oil spills on fishing, commercial fishing asset valuations for the Pacific west coast and Alaska, Endangered Species Act salmon efforts in the Pacific Northwest, Seafood market status and trend reporting in Alaska, and private projects. Over the past 35 years, NRC has conducted salmon investigations in California, Oregon, the Columbia River Basin, Washington, British Columbia, Alaska, and Russia. NRC has drawn on our depth of experience in fishery-related research needs to help initiate, develop and manage an ongoing, large scale cooperative research effort for crab in Alaska. NRC principles have extensive knowledge of existing Federal and State approaches to crab stock assessment along with strong relationships with both harvesting and processing stakeholder groups along the West Coast and Alaska. NRC principles and staff have provided direct management oversight and administration services to Bering Sea Fisheries Research Foundation (BSFRF) for more than 10 years. BSFRF has been in existence since 2004 and currently has nearly 100% participation from all harvesters, processors, crab researchers, and managers. NRC advises BSFRF on its continuing mission to help improve science for sustainable crab management in unique and effective collaboration between stakeholders, government and academic researchers that prioritizes and conducts approximately $1 million in cooperative research annually. NRC is an international leader in finding solutions to abandoned, lost, or otherwise discarded fishing gear and related marine resource management issues. NRC works collaboratively with members of the fishing industry, governments and non-governmental organizations to improve management and build effective programs to address this global problem. 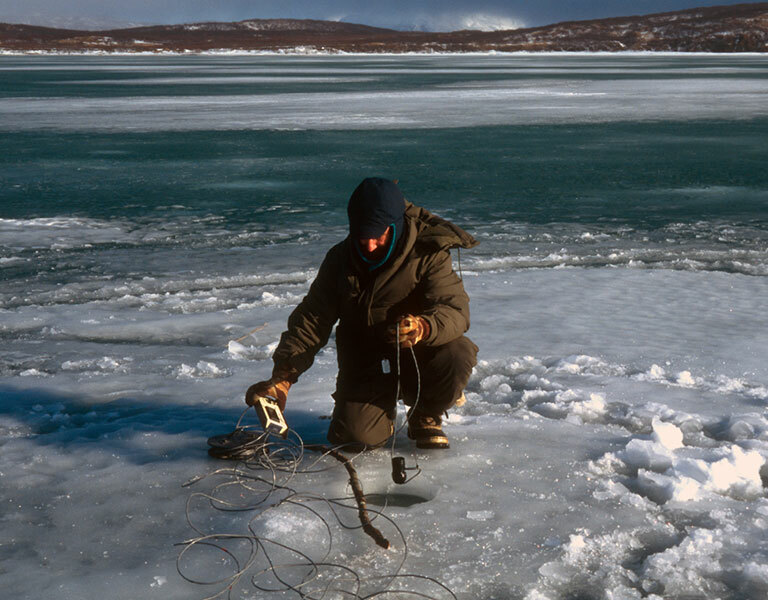 NRC conducts research, collects and synthesizes data, participates in international working groups, advises on fisheries management and policy improvements, and develops and manages on-the-water gear removal projects. NRC specializes in issues important to forage fish and food web dynamics in marine environments. Forage fish are vital for the health of an ecosystem, serving as predators of diverse planktonic organisms as well as constituting an essential, energy-rich prey resource for numerous threatened and endangered marine fish, bird, and mammal species. Many forage fish species also support recreational and commercial harvest for human consumption, fishmeal, and bait. NRC serves on science advisory panels for regional groups focusing on research, monitoring, population estimates, and recovery actions for forage fish in the Salish Sea. 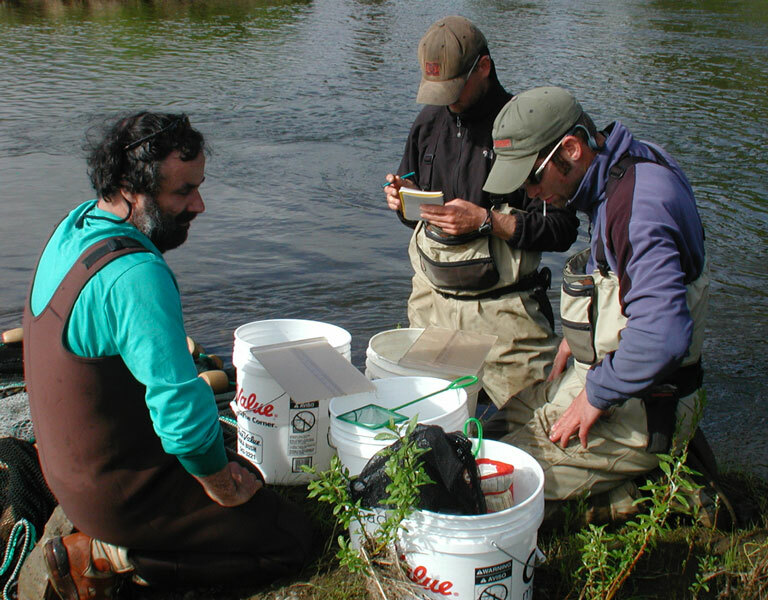 We also conduct field surveys important to restoration and permitting actions in the state, publish literature in peer-reviewed journals, and collaborate on multi-disciplinary teams studying emerging technology and techniques to better understand forage fish abundance, habitat needs, and life-history. NRC’s legal expertise is recognized widely in the commercial fishing industry. Each of NRC’s principals have provided expert witness testimony in their fields of expertise. NRC provides detailed summaries of fishing fleet activity tailored to the needs of our clients. Our desktop studies typically include spatial distribution and seasonal changes of fishing effort by sector and/or gear type, and summary data describing landed volume and the associated economic values. Our analyses include identification of trends within fisheries and their markets, as well as predictive forecasts of effort based the multiple factors driving harvest behavior. We provide fleet analysis for all scales of fisheries, from artisanal and small-scale fisheries, to large-scale industrial efforts. Most of our desktop studies are confidential in nature. NRC specializes in providing the undersea cable survey and installation industry with detailed, timely, and accurate analysis of fisheries around the globe. Our fishery desktop reports types of fishing activity, temporal and geographic extent of fishing activity, potential threats to undersea cables and pipelines from fishing, and cable protection recommendations. NRC believes that by supplying high quality, unbiased fisheries risk data to the cable owners, operators and installers, cable routes can be selected quickly, with less risk of unforeseen damage to cables and at minimal installation cost. NRC has completed many successful cable-fisheries projects over the last twenty-five years and has formed a growing client base of telecommunication cable and surveying companies for which we coordinate ongoing work. NRC provides review and consultation for freshwater and marine aquaculture operations on the Pacific west coast from California to Alaska. NRC delivers scientific expertise and performs research on the interactions of hatchery raised Pacific salmon and farmed raised Atlantic salmon with wild Pacific salmon stocks. NRC has long term relationships with shellfish aquaculture farmers, managers, and scientists and performs economic impact assessments for the shellfish aquaculture industry. NRC can deliver services related to siting, permitting, and economic valuations for shellfish growers. NRC has a firm understanding of the human dimensions of shellfish and finfish aquaculture and can provide expert consultation and methodologies for measuring the social and economic challenges of starting and maintaining aquaculture farms in socially dynamic settings. NRC recognizes the importance of mapping and spatial analyses for fisheries and marine resource management and has 5 trained/licensed staff proficient with GIS. There are spatial components integrated into almost all of NRC projects and we regularly use GIS to review information, solve problems, answer questions and present data. Fisheries GIS expertise is a unique skill and NRC understands the challenge of accurately mapping information layers in the marine environment and in nearshore areas. Our team of GIS specialists utilize ArcGIS, with extensions and other GIS tools to conduct detailed spatial analysis and modeling of fisheries, marine resource and conservation related data. Current and ongoing NRC projects using GIS include; large scale (Pacific Rim) salmon research by species/region, Bering Sea crab survey design and spatial analysis, and several specific fishery-cable threat studies (private).